Notice and Note | I Teach. What's Your Superpower? Holy Guacamole. I love PD books, but there's a special place in my heart for PD books that are immediately applicable and easy to understand. Ever feel like you're throwing comprehension strategies at kids, but they don't seem to make it into students reading practice? Here's a book that helps us bridge the gap between teaching students strategies and knowing when to use them. I love the story from Who's Doing the Work that one of the authors shared. (You can read about that book here!) She was starting to travel more, and her house looked like it. She taught her sons how to load and run the dishwasher. When she returned, it hadn't been done. She realized she'd taught then how to do it but not when to do it. 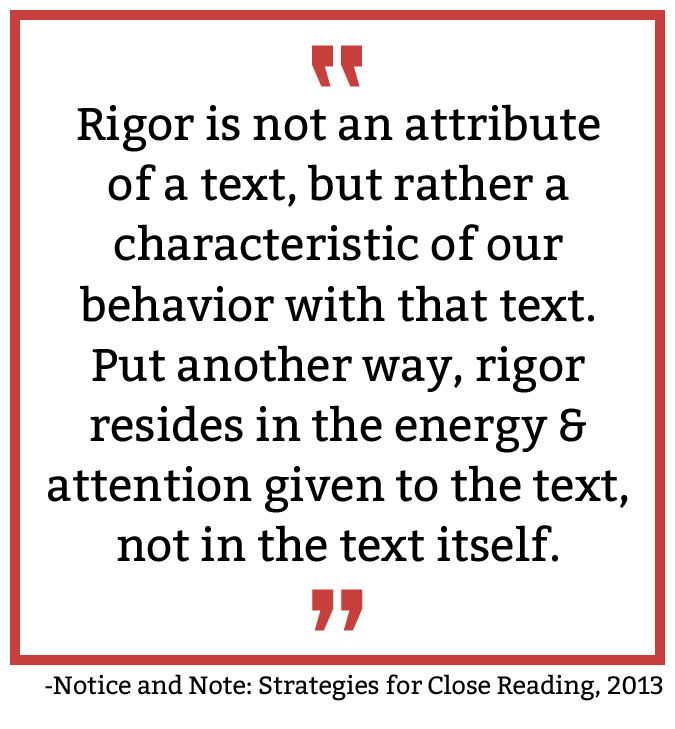 This is often true for our comprehension strategy instruction. 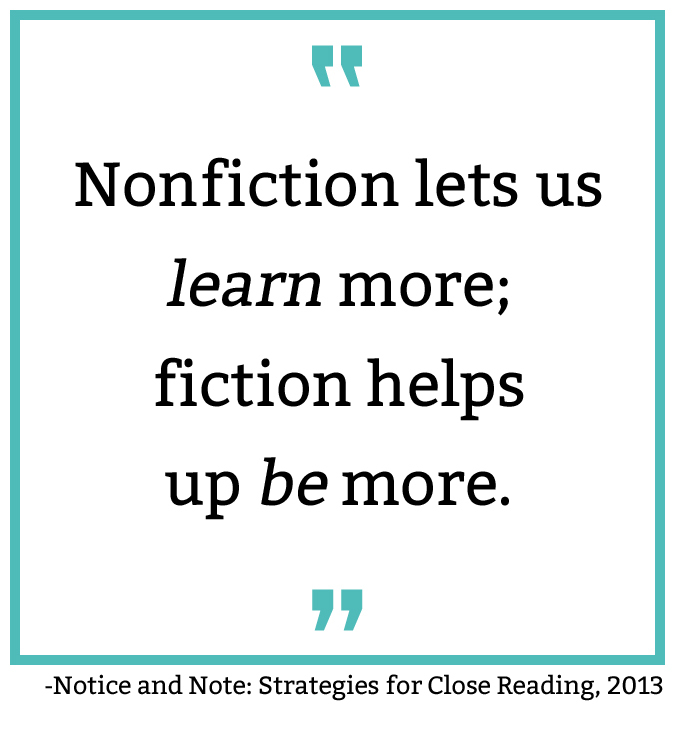 The six strategies in Notice and Note: Strategies for Close Reading are for teaching students how authors signal important moments to readers. Take a look at this comparison of teaching points. I have taught using conversation #1 about a million times. (Sorry kids.) I did a great job of explaining my thinking but never helped kids make the transition to recognize WHEN to have that thinking. Introducing generalizable language to our conversations is a simple but powerful way to change the impact of our teaching. I'll stop here because I want to think about how Luke must feel, never being able to go outside again. I had to stay indoors once, for several weeks, after some surgery, and that was difficult. But I can't imagine never going out again. That's just odd. I don't know why he's going to have to stay indoors, so let's keep reading. I'll stop here because I know when authors show me a character acting in a way that contrasts with how I would expect someone to act, the author is showing me something important about that character. Here, Luke says he will never be allowed outside again. I can't imagine why he would say that; it certainly contrasts with the life I've lived. When authors show us such a contrast or contradiction, then I want to pause and ask myself, "Why would the character act this way? 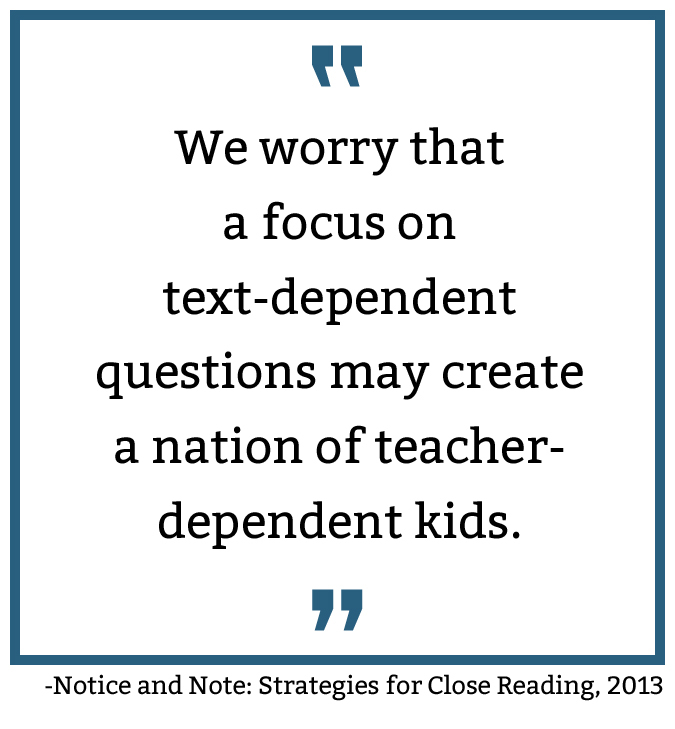 As I think about this question, I wonder if it might be . . . ."
Conversations #1 gets students through that moment in the text. Conversation #2 gets students through moments in any text. 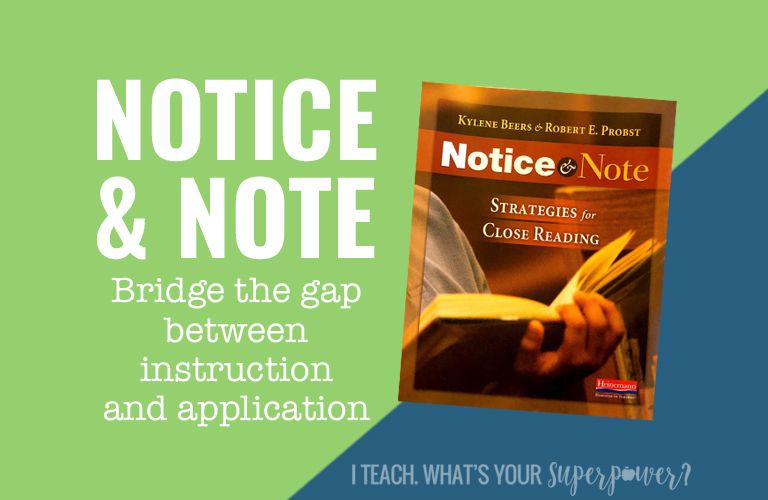 The lessons for the six notice and note strategies are some simple and practical while creating a huge shift in how we discuss comprehension with kids. By changing from teaching what predicting, inferring, etc. 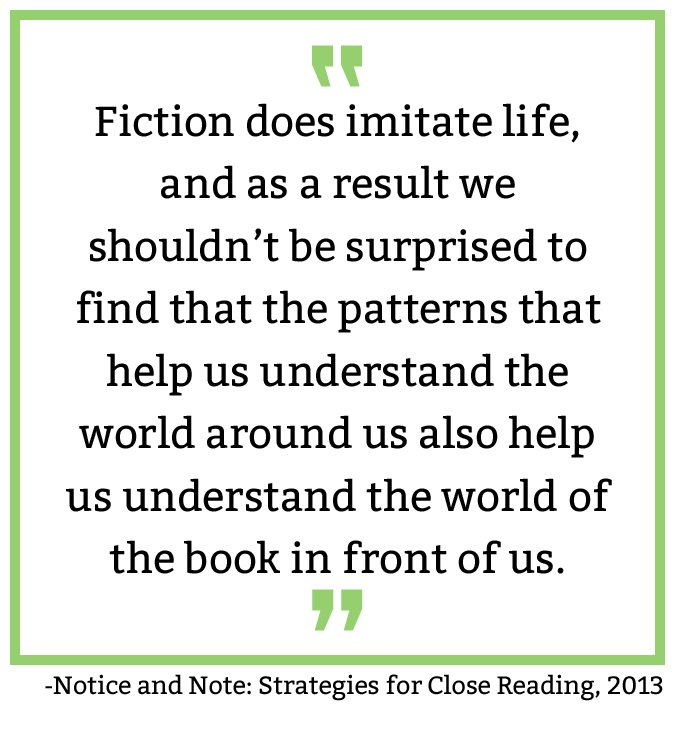 are to how to recognize when authors signal something important, we can teach kids how to authentically read and question text. Besides the fact that I wish I had read this book in 2013 when it actually came out? Just being lazy here-I wish there was a list of multiple picture book titles that would be good for introducing these strategies for 3rd-5th grade students. I can and will do this myself (with some help from Pinterest), but I'd love to hit the easy button on this one. Any 3rd-12th (for real) reading teacher. Yep. For real. These are the foundations of fiction. While text complexity grows, these basic principles do not. I know I post about a lot of books and how much I love them. 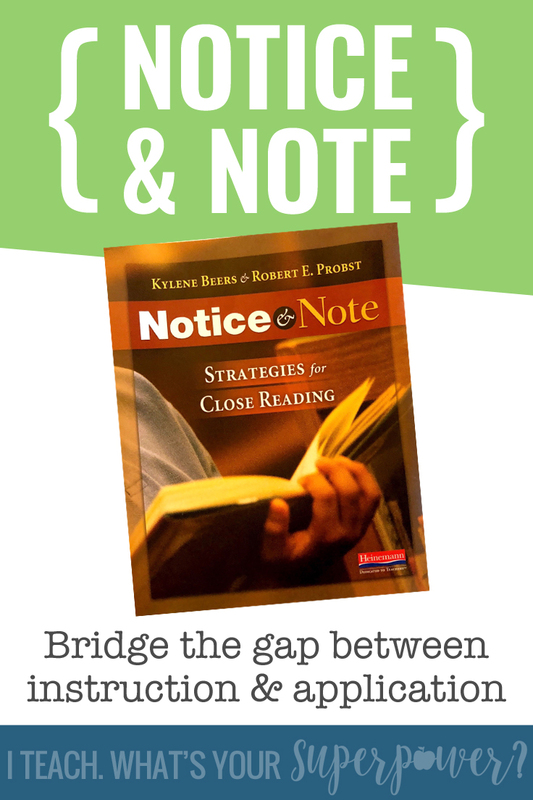 Notice and Note is one that I truly recommend for EVERY 3rd and up reading teacher. The simple generalizable language used serves as a bridge between showing students what our thinking sounds like as we predict, infer, etc. and when students would know to use that thinking.